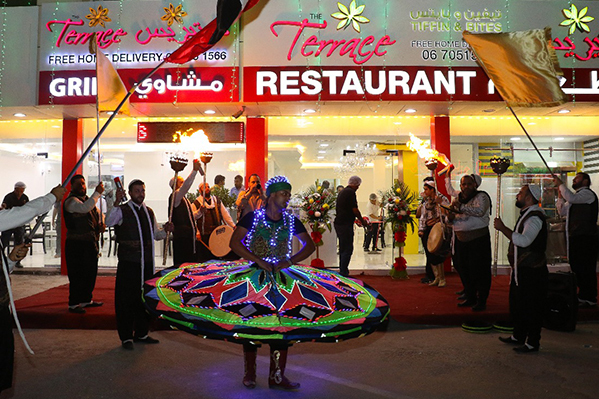 The Terrace Restaurant, the popular multi-cuisine restaurant chain operated by the Hospitality Division of Thumbay Group continues to expand in accordance with the group’s strategic plans, with six outlets established in a short span of time. The opening of the sixth family restaurant in Al Nuaimiyah, Ajman was celebrated at a special event on 9th April 2018, with the promise of more outlets and lots of good food in the offing. Mr. Farhad. C, Director of the Hospitality Division of Thumbay Group was the chief guest of the event. 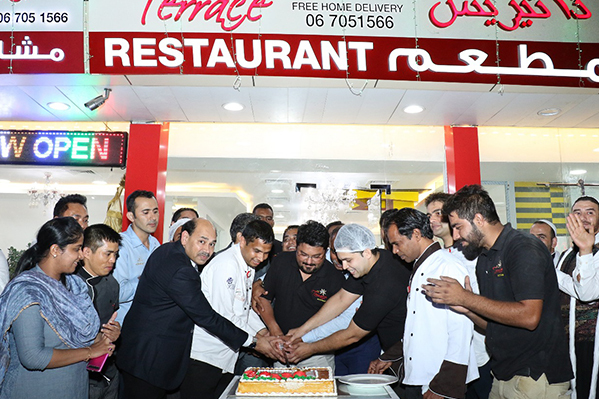 The newly opened restaurant also houses ‘Terrace Grills’, focusing specifically on grills and barbeque cuisines, taking into consideration its sizeable Arab, Indian and Pakistani customers in and around the locality. The Terrace Restaurant at Rolla, Sharjah had recently introduced the Karavalli cuisine, a food menu inclusive of dishes from the coastal area of Southwest India, which was an instant hit with people from diverse nationalities staying in and around Rolla. “Going forward, we will continue to focus on specific cuisines, while catering to the tastes of our diverse customer base. Our upcoming ‘Terrace Pinoy’ restaurant in Satwa, Dubai, for example, will focus on the Filipino cuisine, in view of the significant Filipino expat population in the area,” Mr. Farhad said. Apart from operating individual restaurant outlets, The Terrace Restaurant has also entered into catering in a big way. “Our catering teams serve inpatients at leading hospitals, with utmost care to their dietary requirements and sensitivities. We are also actively involved in providing catering services for parties and events,” Mr. Farhad said. The Terrace products and menus are prepared by skillful, specialized, and experienced chefs and nutritionists to help cater healthy and delicious food. What sets Terrace apart is the attention to detail and the focus on quality. From maintaining stringent food preparation standards to creating the perfect ambience, the team is extremely passionate about executing everything to the highest standards. The hospitality division of Thumbay Group operates three different brands; The Terrace Restaurant, Blends & Brews Coffee Shoppe, and Body & Soul Health Club & Spa. 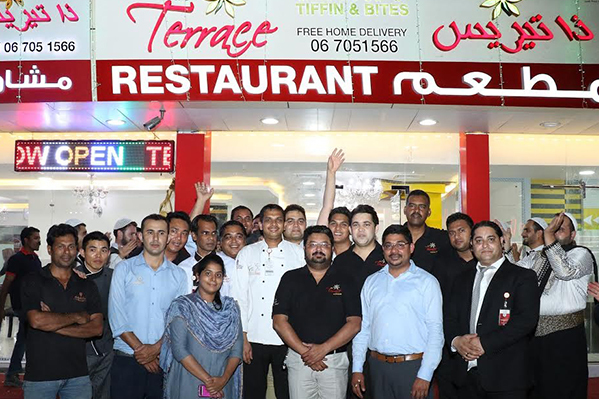 The Terrace Restaurant is a multi-cuisine restaurant chain operating six outlets across Dubai, Sharjah, Ajman and Fujairah. Blends & Brews Coffee Shoppe is a Dubai-born international brand of coffee shops with multiple outlets in Dubai, Sharjah, Ajman, Fujairah and Hyderabad (India). Body & Soul Health Club & Spa operates five clubs in the UAE including ‘ELITE’ and ‘LADIES ONLY’ facilities, offering extensive sports, recreation, fitness, health, social and youth programs. The sixth club is slated to open in Fujairah, shortly.